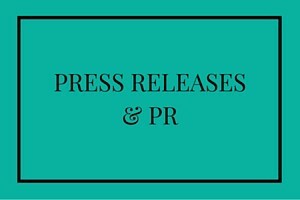 PR serves to get your business noticed by the right people. It can be accidental (although this isn’t always the best way to control the messaging) or it can be strategic, well thought out and goal-oriented. As a writer with a solid background in journalism, experience getting big brands noticed and behind-the-scenes experience of working for news publications, I know how to craft and deliver a press release that is compelling, factual, and will leave the editor seeking more. I provide PR advice and support to ambitious businesses across Surrey, West Sussex and London that want to be seen. To do so, I will often recommend a multichannel, integrated approach that calls upon local of national press, online promotions, television or radio. It really depends on who your target audience is and the messages you want to get across to them. Furthermore, I have worked on the ‘other side’ in the editing department of popular print publications so I know the exact type of article and press release headline to peak an editor’s curiosity. Contact me if you are looking for PR support or a press release writer, or to find out more about how to get your business noticed.